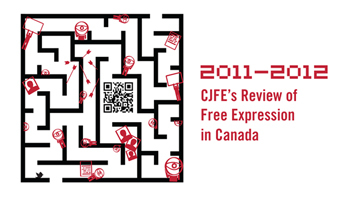 In CJFE's annual report card, which grades key free expression issues and major institutions, it is clear to see that there are a number of problems threatening Canadians' free expression rights. Launched to coincide with World Press Freedom Day, the Review serves as a reminder of why we cannot afford to be complacent, and must continue to defend our rights and freedoms. Read the Review online below, or download a PDF version.